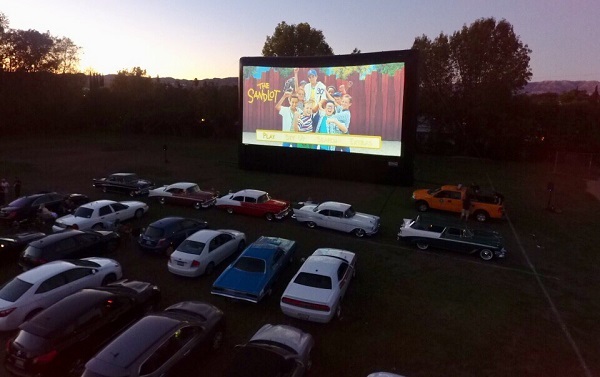 Once a year after the Summer heat has made way for the cooler Fall weather, we open up the baseball diamond at Shadow Ranch Park in West Hills for a retro style Drive-In movie event. Last weekend, we hosted local families for a screening of the classic coming of age film about America's favorite pastime "The Sandlot." There was free popcorn from our office and burgers courtesy of Wendy's. The SoCal Chevy Car Club was also there with some very stylish classic cars which gave the drive-in a very authentic feel. Thank you to everyone who showed up to make it a very special fun night!